Combining the flavours, textures and goodness of fresh vegies, lentils and delicate herbs and spices, the Garden Veg and Lentil vegie burger pattie is a very popular vegan product with foodservice businesses. The burger pattie has a distinctive, but subtle, lentil background flavour that complements the real fresh flavours of carrots, peas, potatoes, onion and garlic. It’s an easy match with many relishes, chutneys and salads and is an ideal size for creating a burger snack or meal that is as good (although we think often better!) as you could make from scratch yourself. 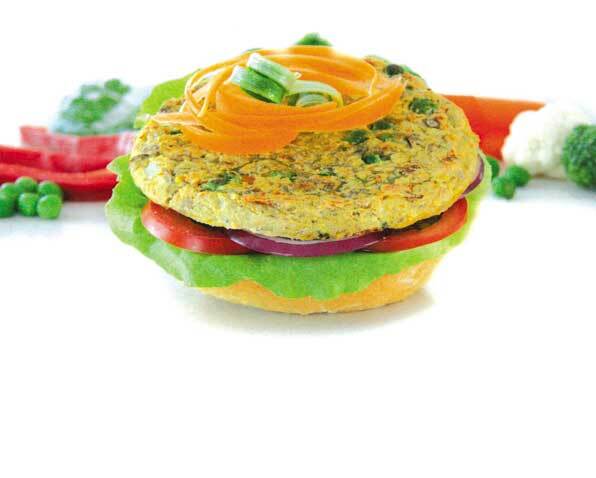 As well as being low in fat and sugar, this vegie burger contains 30% lentils to boost the fibre and protein content. It contains no animal, dairy or egg ingredients. Our vegie burgers make it easy to regularly meet the recommended daily serve of vegetables, maintain a healthy weight, cater for vegans and vegetarians, participate in Meatless Monday, and transition to a plant-based diet which is healthier for you and our planet. 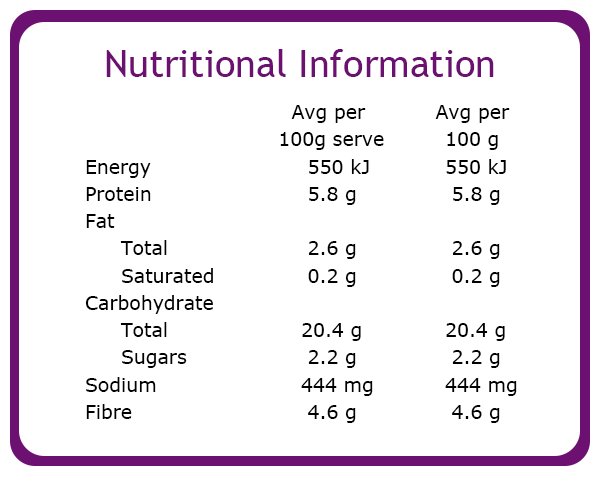 Vegetables (56%) (carrot, onion, pea, potato), lentils (31%), flour (wheat flour, raising agents (450,500)), vegetable oil (canola), salt, garlic, herbs & spices.